I got a PR today! I am so happy and still cannot believe it!! 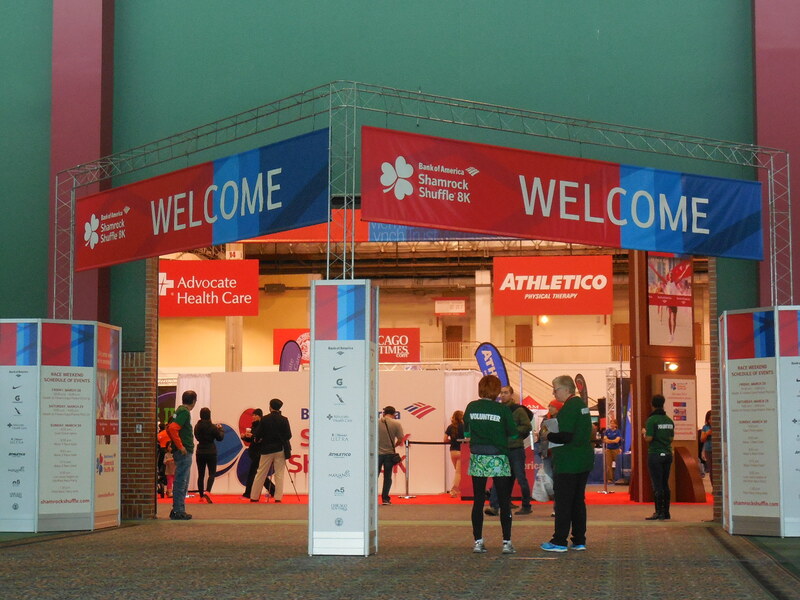 Let’s go back to yesterday to packet pick-up. I am so glad my nephew and I went early. There were so many people and parking was a hassle. I registered for the The Original 5K. How many candy bars in the jar? 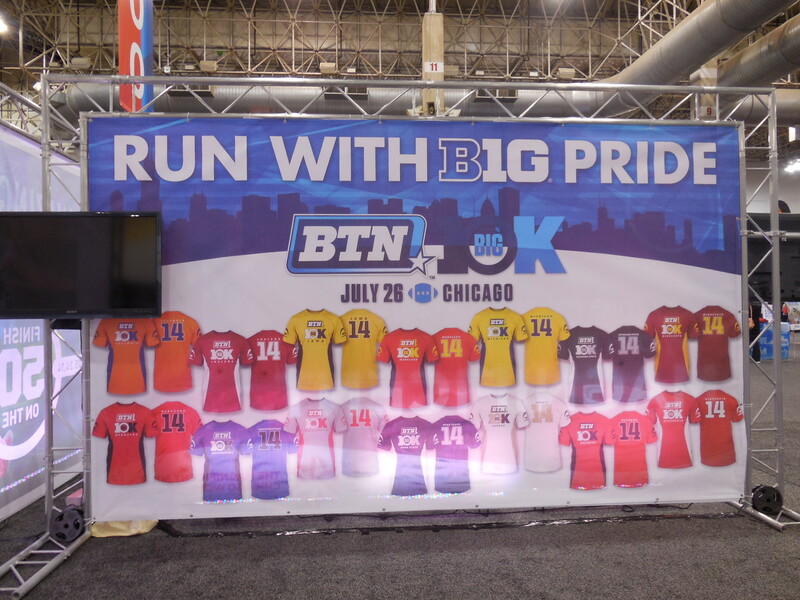 Thinking of running the BTN Big 10k in July. 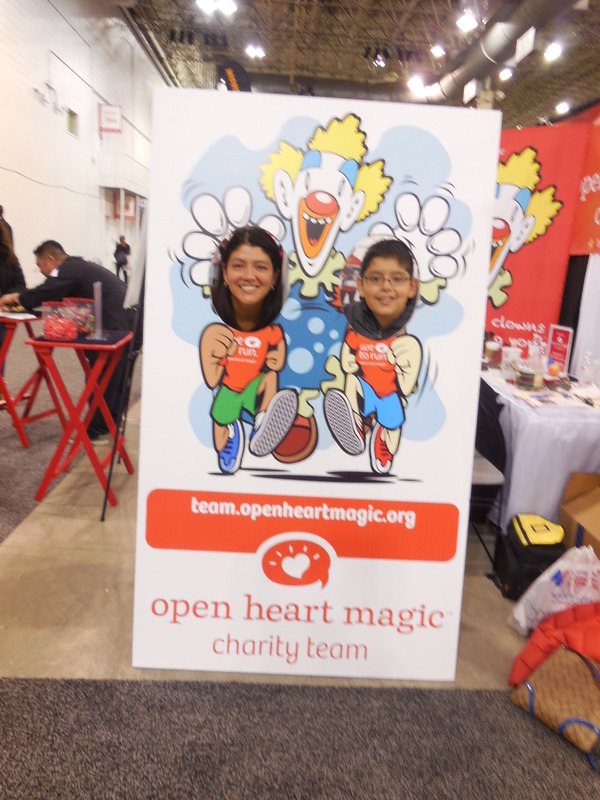 My nephew and I had so much fun with the magic tricks from Open Heart Magic. Sorry it is blurry. Today I woke up at 5am. Why so early? I don’t know. I tried going back to sleep but couldn’t so I just stayed in bed and finally got up at 6:45. I got dressed and had breakfast. I was nervous about the weather because it was in the low 30s. I was undecided on which long sleeve shirt to wear but finally decided on a black and thin one. I left at 7:30 to pick up my friend, ABH, to take the train downtown. Lots of people were on the train going to the race. We got off on Roosevelt and walked the 8 or so blocks to drop off my bag at the Nike Running tent. Then we walked to the start line. I was in Corral F and ABH was in K so I just went to her corral. It was a long wait. By then it was a bit warmer so I was grateful for the “late” start. A little after 9:30 it was time to run. There were so many people. I did not wear my headphones but instead just focused on my surroundings and how I was feeling. Boy oh boy I was feeling really good! I ran nonstop for 3 miles. That has never happened. I was planning to take a break to drink the rest of my water at 2.5 miles but instead just kept on going. 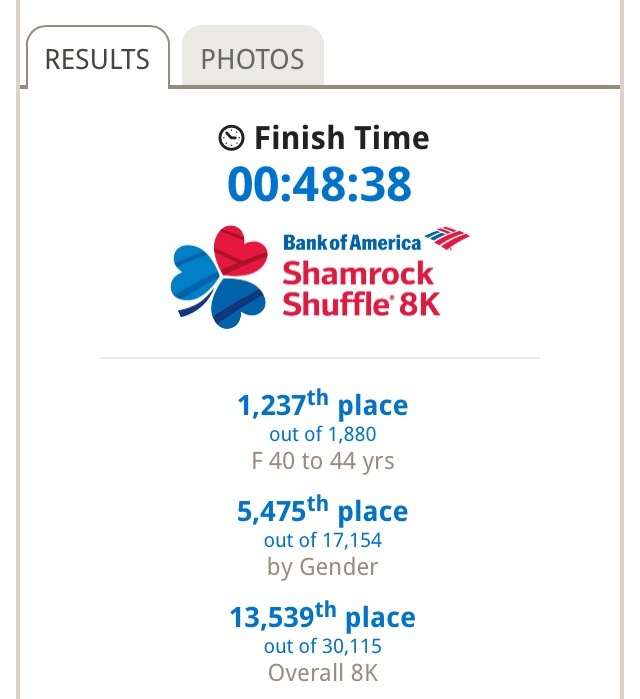 I remember stopping at mile 4 because I had a side stitch. I looked at my watch and knew that I had a good chance of a PR. However, I did not know it was going to be by almost 5 minutes. I just ran and ran without stopping. Once I was back at Michigan Avenue, I knew I was almost done. I just had to conquer a “hill”. I’ve walked this “hill” at every race but this time I was determined to run it at a slower pace. I succeeded! Once I made it to the top and turned left, I just ran to the finish line. Done! Finish time is 48:38. I couldn’t believe it when I saw it on my watch. After the race I went with ABG and her sisters to Waffles Cafe. 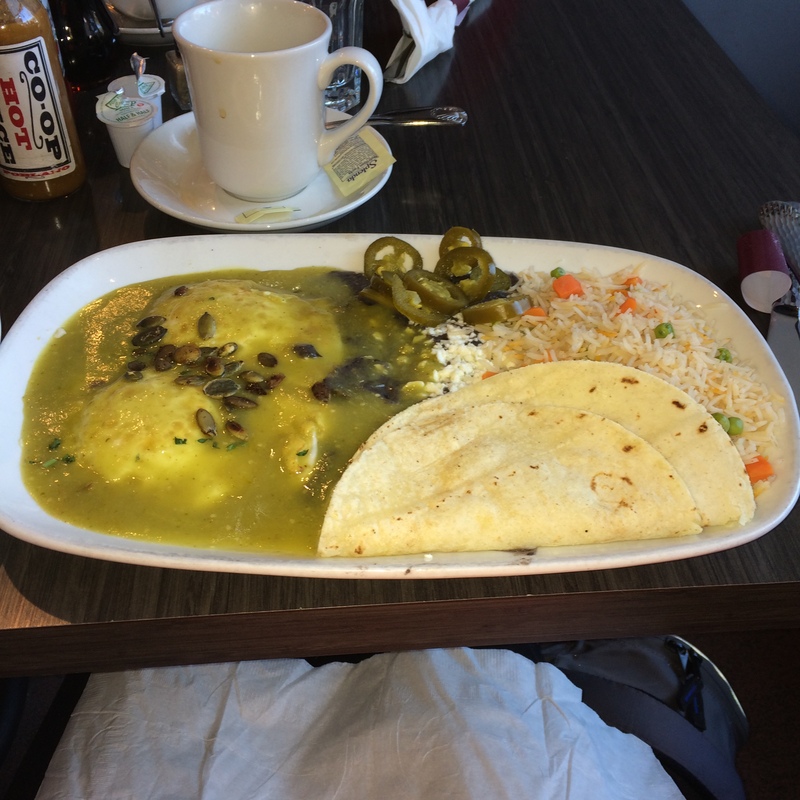 The food and coffee was delicious. Next race is the Chicago Lakefront 50K on Saturday. Fantastic time, Zenaida! You are a strong runner! I love the BTN Big 10k! I ran it last year and I’ll probably sign up again this year! What a fun race!! I like the race but coming in from the suburbs is not fun for packet pickup at Navy Pier and again on race day is not fun… plus the shirt was a major thumbs down this year! I hate going to Navy Pier! I thought the shirt was ugly too. However, I don’t keep my shirts so I will just donate or give it anyway. Woo hoo! Congrats on the huge PR and such a great race!! !